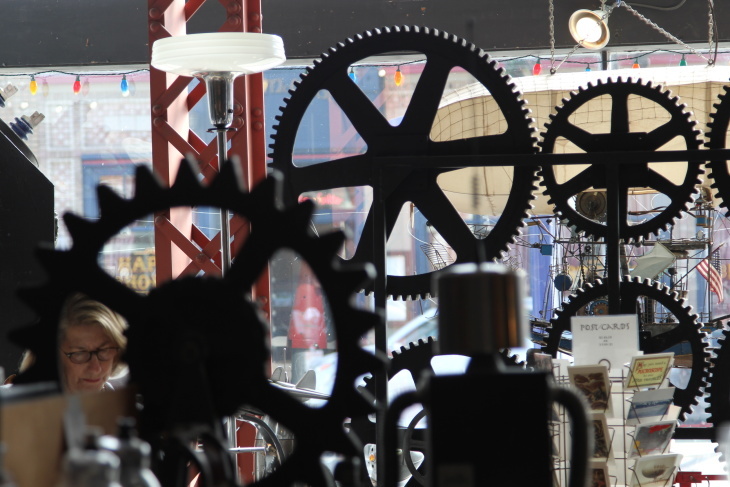 On Main Street in Santa Monica, right across from a Starbucks and next door to a clothing boutique, there's a shop that isn't like the others — with gears, robots, and an intricate model airship in its storefront. And if you're lucky, it might even be open. 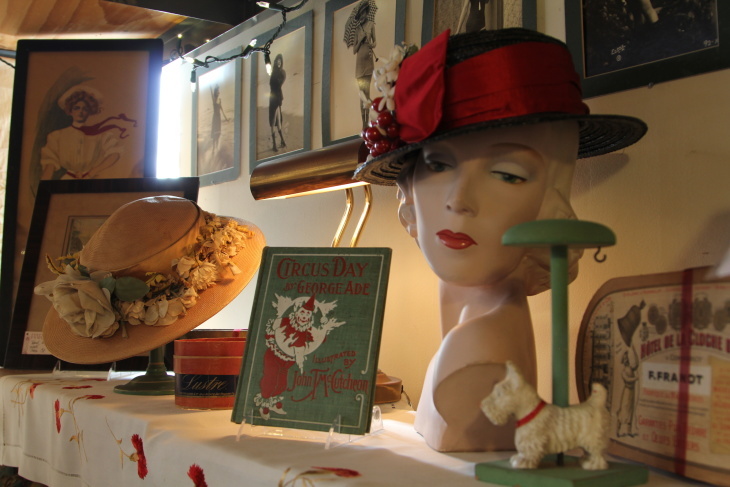 It's difficult to define Jadis, because it wears multiple hats: it's a movie prop house, a museum of pre-computer-era oddities, a cabinet of curiosities, and a retail store. Oh, and it's also infamous for almost never being open. Like, ever. "I tell people, not being open all the time just increases the demand," Jadis's owner Susan Lieberman said. "You would take me for granted if I was open regular hours." 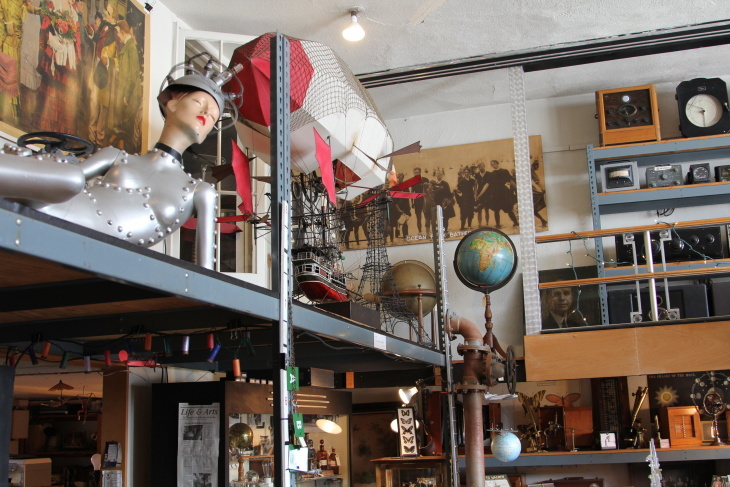 When you walk inside Jadis, you might feel like you've found yourself inside a mad collector's lab: giant interlocking gears, microscopes, cabinets filled with old postcards and eyeglasses, quack science devices from the turn of the century. And if you clap or talk too loudly, there's a talking head that might yell at you: "My brain hurts. Why you look at me like that. WHYYY?!" You've likely seen some of these objects before, in movies like the Prestige, Batman and Robin, and Van Helsing. 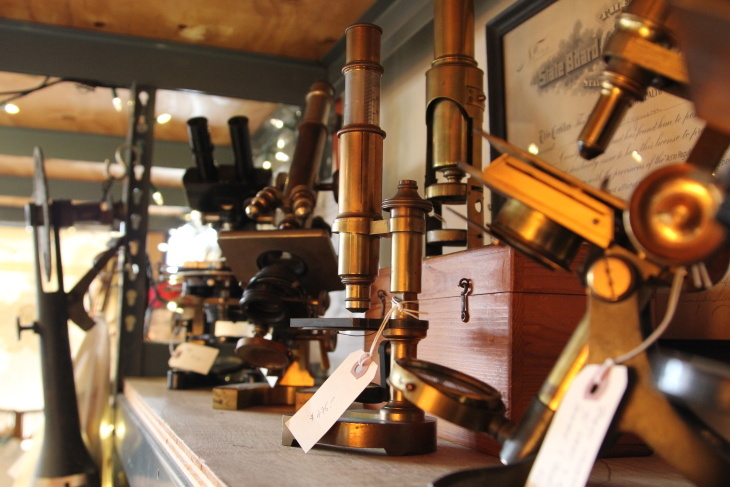 To understand the store's ethos, just look at its stock of science magazines from the 1920s. "You know, in those days it was happening. The car and the airplane and radio and electricity! It was such a heady time of invention," Lieberman said. "I've tried to keep the focus of this period, but I also try to bring in things that people can purchase. Not everyone wants to buy a big robot or a knife switch, so I try to have toys for kids that are vintage inspired." So for the kids, you get make-it-yourself flip books, Newton's cradles, and gyroscopes. But for a set decorator, it's a different kind of toy chest. 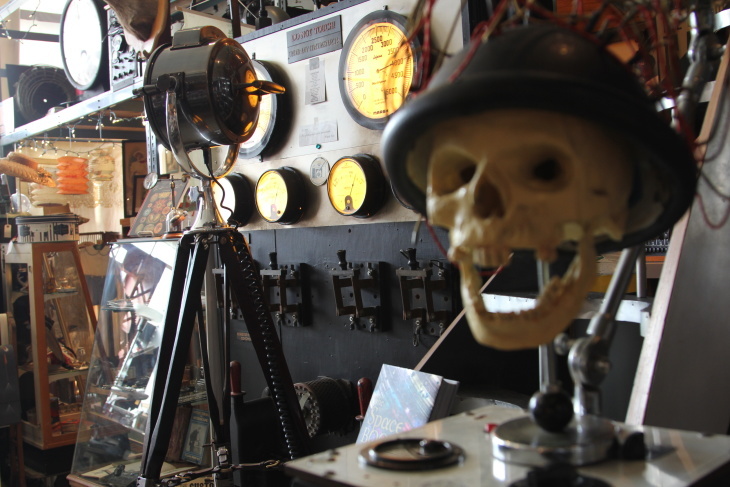 "It's like a mixture of eclectic steampunk, BioShock art-deco-type pieces, oscilloscopes and scientific cutters and all the electrical weird bulbs that they don't make anymore," said Brandi Kalish, a set decorator for TV and movies. She rented props from Jadis in 2015 for the show Teen Wolf. Even the name of the store's a throwback. "It's a French word," Lieberman said. "It means 'a long time ago' or 'in the past,' used mostly in literature. It's kind of an old term, but I thought it was very melodic." "It's a mix in here of rare and fake," Lieberman said. For an example of something rare, take the hemodimagnometer. It's a wooden cabinet with a 4-by-6 grid of knobs. It was patented in the 1930s, during the height of interest in the now-debunked science of "radionics." The idea: that a doctor could treat a patient by manipulating their aura, or vibrations. Lieberman said its a popular rental piece, and it's been used in productions including the X-Files. For an example of something fake, take the "radio table," a large black machine that gets its name from the radio coils on its surface, mixed in with rheostats, street lamp bulbs, and different gauges. "It really makes no sense, but it looks cool," Lieberman said. "And as a prop, that's all it has to do. It's Hollywood, it just has to look great." The fake stuff, like the "radio table," was mostly invented and built by Parke Meek. 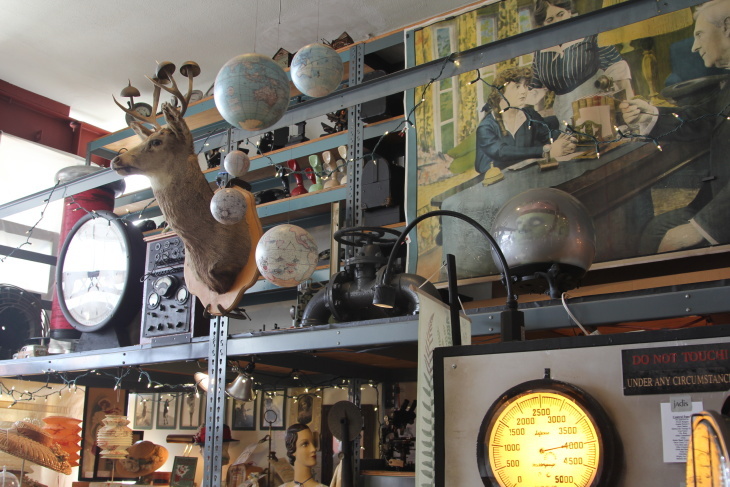 Meek was an obsessive, lifelong collector, as well as a carpenter and self-taught engineer. 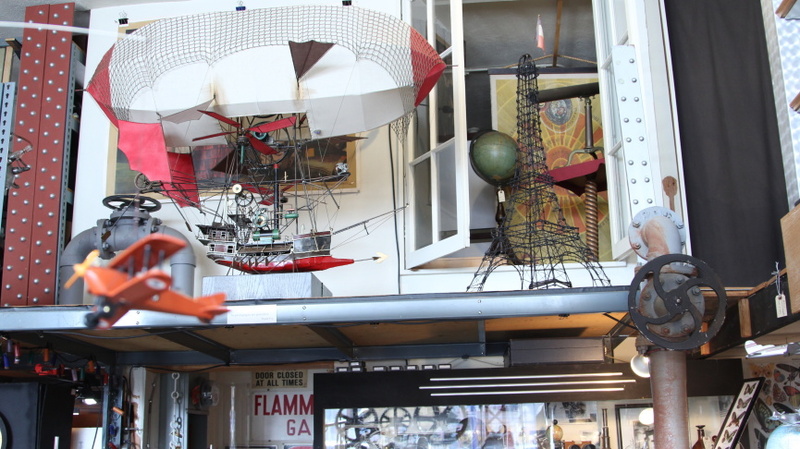 Most of the objects in Jadis are a result of his invention, as well as his and Lieberman's collecting. "My partner's idea of collecting was, if it looked cool, add it to the inventory," Lieberman said. "He was inspired by Mel Brooks' film Young Frankenstein, so anything that fit that theme, he would pick up." Parke Meeke and Susan Lieberman opened Jadis on Main Street in the mid-1970s. But to get the full picture of Jadis, you have to go back to Meek's childhood in Indiana. When Meek was growing up, his best friend's father owned a scrap yard, Lieberman said. So Meek and his best friend would look through trash together. This was in the 1930s, when people were throwing out Victorian things, and Meek would take them home and stash them in his attic. 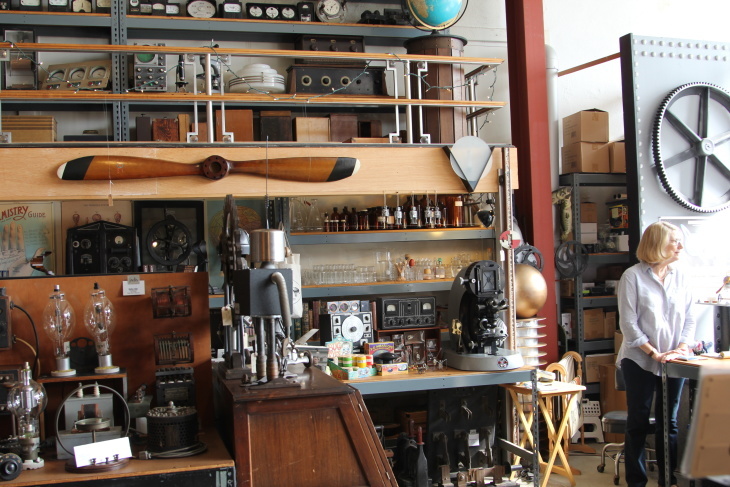 When Meek returned to Indiana after serving in the Pacific in World War II, he opened up an antique shop with all the junk he'd collected as a boy. That shop would have several iterations — including, finally, Jadis. In his life, Meek worked with architects like Frank Lloyd Wright and Buckminster Fuller. He and Lieberman met when they were both working for the Eames design team. Lieberman and Meek would go antiquing on weekends, sometimes selling their finds at the flea market. In 1976, they opened Jadis as an antique shop. At one point, Meek designed and built a successful line of 1930s art deco furniture. But then he decided that he was bored with building chairs and wanted to make movie props instead. So in the 1990s, Jadis also became a prop house. The prop business ebbs and flows, depending on what's going on in Hollywood. "There was a lull somewhere between '08 and '09 in Los Angeles, and work was scarce," Kalish said. "During that time, there were tax incentives in Detroit, Atlanta, the Carolinas, Canada. And a lot of work was going out of town." The bigger blow for Jadis came in 2010, when Meek passed away at 86. Lieberman started thinking about closing down the store. 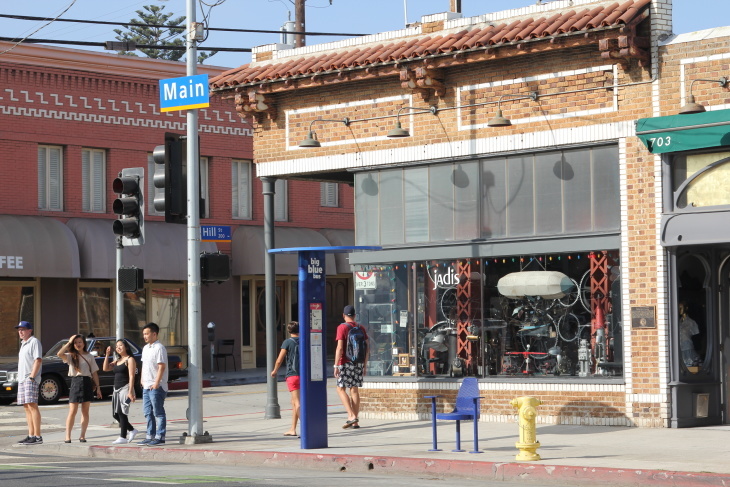 The L.A. Times even came to Jadis to write a big farewell article. "Somehow in the course of the interview for the article, we ended up announcing a sale. People were lined up around the block," Lieberman said. "People waited at least four hours to get in. I just didn't realize that there was the curiosity and that people loved the space. So it was very emotional for me." She was overwhelmed, Lieberman said, so she took a break from Jadis. At the time, she was running a vintage ladies boutique next door called Paris 1900, which was the more lucrative business. But then she got a call from a set decorator. "He was working on an art film and said that Meek's things would be perfect for it," Lieberman said. That art film was The Artist, which won an Oscar for best picture in 2012. That slowly got Lieberman back on track with Jadis. "It was a combination of this fortuitous rental and just the sheer support I got from the community, that I thought maybe I can continue the store," Lieberman said. At first she was only open on Sundays so she could operate Paris 1900, but in 2014, she closed down her ladies boutique to focus all her energies on Jadis. "I just had an epiphany one day, that I was done with women and clothing, that I just wanted nerds and kids and just to have fun," Lieberman said. For Kalish, Jadis is a window into the behind-the-scenes world of Hollywood. "It gives the public an opportunity to see inside the set decorator world," she said. As for Lieberman, she said she wants Jadis to be a surprise and a place where people can experience objects from a different time. "Sometimes I have older people come in that recall using these things in their jobs, and then they'll explain it to their kids or grandkids," Lieberman said. "It's a teaching tool. It's nostalgic. My hope is that it's uplifting." Her goal: to maintain the magic that she and Meek created. "I hopefully honor what he built here by keeping it unique and bringing wonder." This was also a radio story on KPCC's The Frame. Listen to it here.